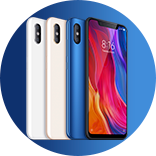 [ROM] All official MIUI 10 ROM for MI 8 / Mi 8 Lite/Pro ! Latest Global Developer v9.4.18! [Announcement] WE NEED OFFICIAL STATEMENT ABOUT Widevine L1! [Other] What is your favorite launcher ?